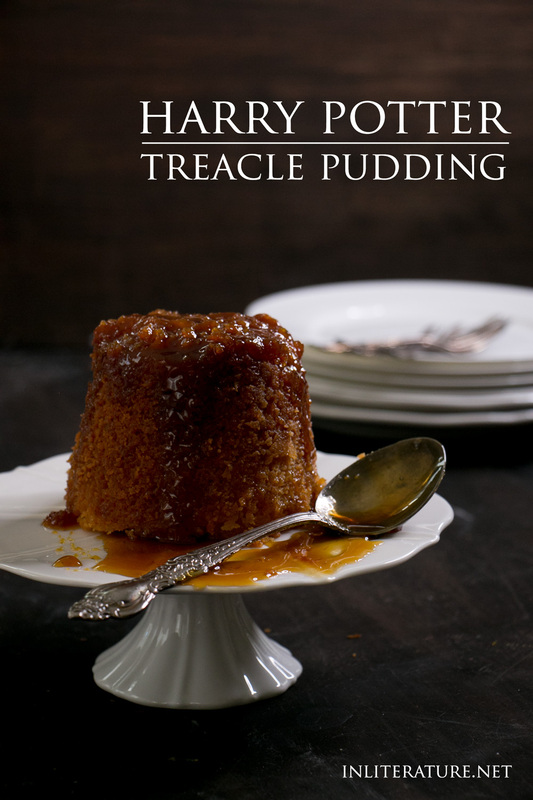 I have to agree with Harry, treacle pudding really is delicious. There are two types of treacle: golden syrup and black treacle, also known as molasses. While molasses is deep and rich, golden syrup is the more common treacle used in British recipes. If you’re looking for more Harry Potter treacle recipes, you might also like Treacle Tart. When looking for a good treacle pudding recipe, I came across one on the Lyle’s Golden Syrup website. Lyle’s is a London company that’s been producing golden syrup since 1881. 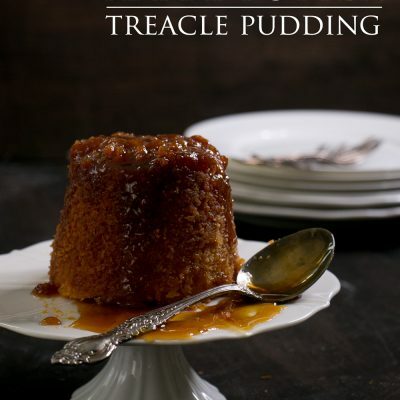 I figured since they must know their treacle, they must have a decent recipe for treacle pudding (they do!). Take the extra pat of butter and grease the pudding bowl (apply liberally, otherwise it sticks slightly like mine did and doesn't come out looking clean). If you don't have a pudding bowl, a heatproof container like a Pyrex bowl (or in our case, measuring cup), will also work. This recipe makes enough for two x 2 cup puddings. Take half of the golden syrup and pour into the bottom of the pudding bowl. In a mixer, beat together the butter, white sugar and golden syrup until fluffy. Alternate adding in an egg, then some flour, then milk and repeating until it's all mixed together. Scoop into the pudding bowl, stopping when the batter is an inch from the top. Take wet fingers and smooth the top of the batter. Take a sheet of baking paper and cut a length twice as wide as the bowl and fold a 1" pleat in the middle. Repeat the same with aluminium foil. Lay the baking paper on top of the bowl first, then the aluminium foil. Take some twine and tie around the top of the bowl to secure the baking paper and foil. If you have a pudding bowl, you'll need to also make a handle with the string for easy lifting. If using a measuring cup, this won't be necessary. Cut the excess foil and baking paper and fold the edges up. In a deep saucepan, place in a small trivet. Place the pudding bowl on top then fill the saucepan with water until it reaches halfway up the bowl. Cover the saucepan with a lid and boil for ~1½ to 2 hours. Pierce a wooden skewer through the baking paper and foil, into the centre of the pudding to test for doneness. The skewer will come out clean when finished. Let sit to cool before running a butter knife around the edge to loosen, then turning the pudding out onto a serving plate. Drizzle with excess golden syrup on top and serve. Love Harry Potter? Don’t miss these other recipes.